My children's school holidays starts today, I feel like school only went back after Christmas the other day. My 16 year son Thomas has gone overseas for a month, boo hoo,,, to a little tiny little island Kiribati in the South Pacific, somewhere half way between Fiji and Hawaii. We packed his backpack with swimmers and summer gear while I'm sitting here now with two jumpers on and very thick socks. It's freezing already and it's only Autumn. Gosh, I think we are in for a very cold winter. Thomas is off to have the experience of a lifetime, no electricity, no shops, no television, no mobile phones. All he will be eating is fish and rice and he. with a group of his friends will be building huts and teaching the little village kids in the school. 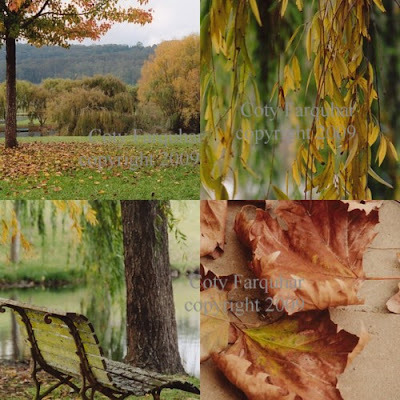 Autumn in Bowral is very pretty, I am running around with my camera as fast as I can to photograph before all the leaves have gone. Here are a few of my snaps in some favourite gardens that I often visit. Gorgeous post. I love fall... at least I did when we lived North in Ohio. The changing leaves and the wonderful colors are something I miss... not to mention that clear, crisp chill in the air. Something magical about that. As always, nice work. I am loving your pictures of fall, however I am wondering why we are having these in spring! I love the photos, they are beautiful. 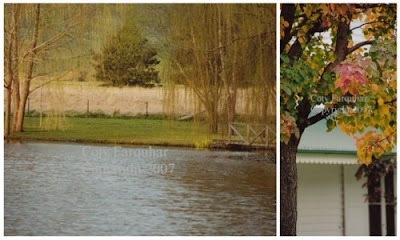 The seasons I love best are Autumn and Spring. 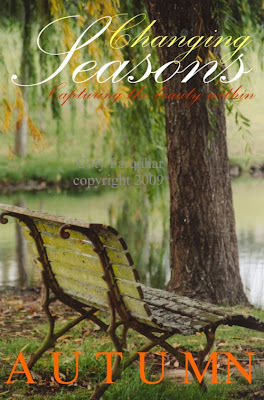 To think you are in Autumn, when Spring is just peeking out now her in the midwest USA...I have always admired your blog pictures and the willow and bench is just dreamy!! And lots of fun for Thomas. Your photos are WONDERFUL! I want to learn to do a collage. Do you have a special program you would recomend? My favorite photo(I LOVED THEM ALL) is the one of the nest full of eggs as that beautiful child peeks over the side. THANK YOU for sharing these photos. And... smile Momma he is having fun. Those chicks do fly the nest... but they remember where it's at. 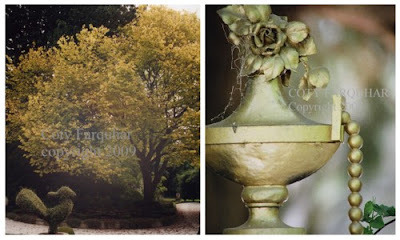 Love the, "Changing Seasons" photo above. Everything is just lovely. Happy Outdoor Wednesday Coty! Beautiful pictures (as always). I love seeing through you eyes! Beautiful Autumn colours... reminds me a bit of Queenstown here in NZ. Where I live though, until today it's been pretty warm and the Autumn colours are still hiding! Such beautiful photos! We are in Spring mode here but fall is my favorite seasons so I particularly enjoyed the "The Changing Seasons" collage of pics! What wonderful photographs! I do so love the earth colors of fall. Thank you so much for sharing. Your blog is stunning!!! I must say that every time I stop by...its still true!!! Your photos take my breath away!!! The colors of fall are yummy!! !